It's difficult to pick a favorite season it Italy - who wouldn't enjoy a gentle rainy spring, a warm early summer, or the festive winter holiday season. But autumn - autumn is magic in Italy. So if I have to pick a favorite season, it would be autumn. Colorful vines in Bellagio, Lago di Como, late September 2016. October brings cooler temperatures, changing colors, along with the fall harvest and vendemmia (grape harvest). There are many sagras (food festivals) including sagras to celebrate castagne (chestnuts), porcini mushrooms, chocolate (is there a better place to celebrate chocolate than Perugia?) and wine. Fall is truffle season and the hill town of San Miniato, in Tuscany (along with a number of other Italian villages), hosts several weekends of truffle events. November is also the traditional month of the olive harvest and the time in which new olive oil is pressed. For foodies, fall in Italy offers a wide variety of gastronomic experiences including classes on olive oil and wine and even the opportunity for hands-on participation in the vendemmia and olive harvests. Grape vines at Agriturismo Cretaiole, near Pienza, ready for the harvest in early October 2016. 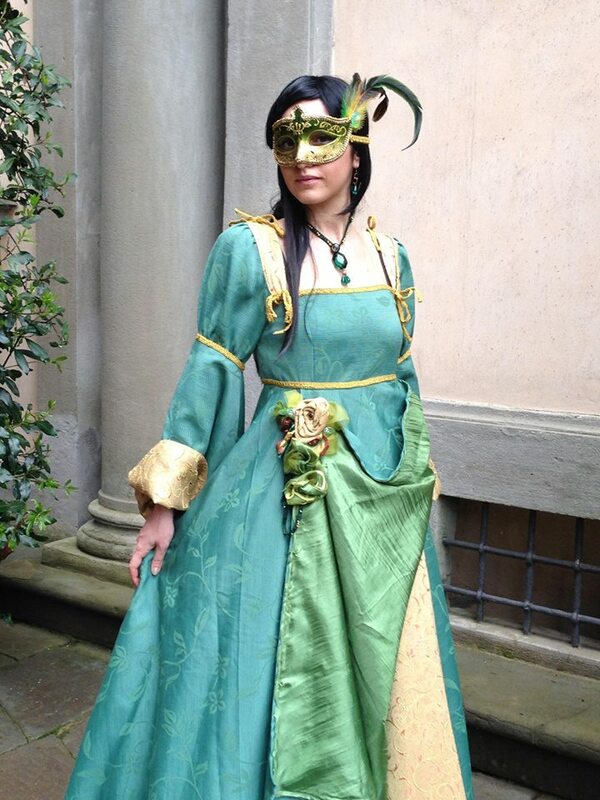 This beautiful costume is from a photo shoot for a previous year's Lucca Comics and Games. In addition to food celebrations there are many fall cultural events and festivals throughout Italy. In Lucca, where I spend most of my time, the big event is Lucca Comics and Games, held each year in late October / early November (this year's dates were November 1 - 5). If you are a fan of comics or gaming, or dressing up in fantastic costumes, this is definitely the place to be in fall. Over 250,000 people attend (it's the largest comics event in Europe), most dressed in costumes to fit the year's theme. There are other fall events as well, celebrating everything from Italian cinema to saint's days to medieval competitions. There is no shortage of things to do during an Italian autumn.